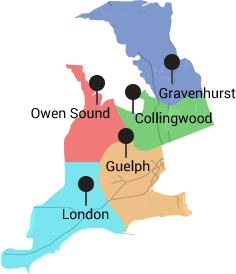 AM Insulation Solutions in London, ON was opened in 2013 to provide insulation services in London and the surrounding areas. My name is Jeff Wilcox I am the Production Manager for London. I have a beautiful wife Tonya and 2 young boys, Troy and Deon who keep me busy and sharp!! I started roofing over a decade ago after learning the trade I quickly found my calling in the roofing world. By developing great customer service and strong relationships with our suppliers it was an easy transition into Production Management. There I am responsible for the scheduling and execution of the entire installment process for each individual project. I ensure the expectation of every customer is upheld to the highest industry standards that AM Roofing has provided for the past 60 years!! I take pride in my work and am very proud to be a part of the AM Roofing Family. I have worked in the construction industry for over 20 years in various office related duties. My main objective at AM Roofing is to make sure you have the best customer service during your experience with us. I am happy to help you along the way by answering any questions and finding the best “Solution” to any inquiries from your initial phone call to the completion of your project.In my personal life, I have the joy of spending time with my husband of 23 years and our two amazing children. I was very much involved with many activities at my childrens’ elementary school; from organizing fund raisers, being the PTA Treasurer and School Council Chairperson, to taking the lead on getting a breakfast program up and running. Even though my children have left the school, I still enjoy volunteering my time there. I have been in the industry since I was 14 years old. Over those 23 years I have worked my way up from labourer working weekends up to a full time supervisor. The last 10 years working on the roof I supervised a crew of 5 guys, which helped me develop a keen eye for workmanship and quality for the guys I’m supervising as well as my own work by leading by example. Working those 23 years on a roof was hard work and hard on my body so I had to evolve. Which brought me to what I do today, being a consultant. I enjoy my roll in the industry being able to pass my knowledge of what I learned in the field to help solve roofing issues and help prevent further problems before they can happen. I look forward to working with you on your project and giving you the best value on one of the most critical investments in your home. Letting me put a quality roof on your home allows you the peace of mind knowing your made the right choice protecting your home. My name is Steve Boyle. I am married to a wonderful woman named lacy and together we have 2 beautiful kids, Kaleb and Avery.I've been working with AM Roofing Solutions just under a year now and it was the best decision I made for my career.I earned my CSP (certified sales professional) designation in 2007 and was the youngest professional to earn this since back in 1960. It was obtained in partnership with The University of Western Ontario and the Canadian Professional Sales Association in Toronto.I believe in hard work, ethics in sales and building long term relationships with my customers. You put faith in me that I'm the expert in my industry and I'll commit to you one of the most well rounded solutions for your projects paying attention to detail Nd most importantly listening to and educating my customers along the way.I also teach entrepreneurial business skills to high school kids through junior achievement and volunteer many hours per year with several different groups closest to my family. My true passion is in teaching!I am proud to be a part of AM Roofing's family and can't wait to meet you and show you why our workmanship is second to none and our customer service is why people keep recommending us. I’ve been working in the roofing industry for over seven years now. While working as a roofer I attained my diploma in Liberal Studies and my degree in Psychology. AM Roofing, and the fantastic crew I worked on, accommodated my busy student schedule and let me work as much as possible while I obtained my undergraduate degree. Initially I was going to work in a different field, but I really enjoyed the culture at AM, and what the company stood for, and so I took the opportunity to become a Solutions Consultant and have thoroughly enjoyed it since. With my strong academic background and my seasoned roofing career, being a Solutions Consultant was a natural choice. I spent a great deal of time studying Social Psychology and Attitude Change and believe in ethical and honest sales practice, and put this belief into action during all of my appointments. I am also a proud father and happily married, and am fortunate enough to be aligned with a company that cares about my families wellbeing. AM Insulation Solutions London has dozens of employee’s allowing us the capabilities of handling any size job in a timely manner. Their is no job to big or to small that AM Insulation Solutions can’t handle. Many of our workmen have over a decade of experience in the insulation industry. 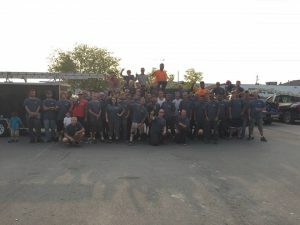 AM Insulation Solutions employees work full-time, are employed year-round, receive company benefits and WSIB coverage making them unusual in an industry filled with seasonal companies and temporary workers. Our approach assures that our people continuously meet our high-quality workmanship and safety standards. Customer satisfaction is our #1 priority. AM Insulation Solutions installs superior residential and commercial insulation. We are a third generation family owned roofing company that takes great pride in putting our stamp on every work we complete. AM Insulation Solutions offers 10-year fully transferable written workmanship warranty and complete satisfaction. We use Owens Corning Insulation, the most recognized leader in the building materials industry.